In this era of outthought competitions, students are cautious about the time they want to invest in their education. Gone are the days when students, after the failure in the first attempt in an entrance examination, would sit back and look forward to another opportunity of qualifying in the same examination to get into the most prestigious Universities or Colleges in the country. Now, this new-breed of knowledge-hungry generation, regardless of their family’s financial capabilities, knows that they have better opportunities waiting beyond the borders. Rather than settling for an average Indian B – School; aspirants start gathering information about foreign universities and opt for the best ones. Attracting a large chunk of International students, the United Kingdom has always been one of the dream higher education destinations for Indians. From the first women Prime Minister of India - Late Indira Gandhi to Noble laureate - Amartya Sen to The Father of the Nation – Mahatma Gandhi, the UK education system has in fact helped the country to make a large part of her history. Today, thirty percent of the International students studying in the Universities of the UK are Indians. However, what can be better if the aspirant gets an opportunity to study Business in the UK, the land where Industrial Revolution begun and reframed the world economy. 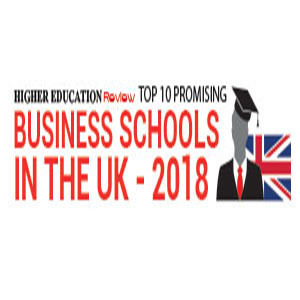 The UK business schools offer exciting careers in large corporations to small businesses, keeping in mind the academic needs, infrastructural facilities, quality of faculty members and productivity, we at The Higher Education Review present to you – “Top 10 Promising Business Schools in the UK - 2018”. The Business Schools that features in this issue are chosen after thorough research by our team of expert panel with the vision of fabricating you to a quality-enriched career from where you can reach the top of your dreams. We hope that our efforts will help the larger community of students to make accurate decisions about their study locations. Aston Business School Birmingham Considered as an elite business school globally, the institute is one of just 1 percentage of business schools in the world to hold AACSB, EQUIS and AMBA accreditations. Liverpool Hope University Liverpool Primarily a research informed teaching institution, the University's business school has a high number of PhD holders in its academic team who are engaged in research that connects with the business sector. Salford Business School Salford The institute has over 100 academics who are experts in their field and many of them continue to work in - and maintain strong links with - industry so that the students benefit from an education that is practical, relevant and industry-focussed. SOAS University of London London The only Higher Education institution in Europe specialising in the study of Asia, Africa and Middle East regions, the university has more than 5,000 students from 133 countries on campus. Swansea University Swansea Considered as one of the top 30 business schools in the UK, the School of Management (SoM) at Swansea University provides excellent research-led teaching, skills and enhanced learning opportunities to the aspirants. University of Buckingham Buckingham One of the top ranked institutions in the UK for student satisfaction, 'Buckingham Business School' degrees are tailored to give students a global, 'real world' perspective and are highly regarded throughout the world. University of Greenwich London Offering courses to equip learners with skills employers value, the historic campuses of the university in London and Kent offer first-class facilities, inspiring teaching and a friendly, diverse community. University of Surrey Guildford With five departments providing cutting-edge research and teaching, the institute invests heavily in pioneering research, as they are dedicated to improving business practice and creating a sustainable and positive change. University of Wales Trinity Saint David South West Wales, Carmarthen, Lampeter and Swansea The Business School of th University is a learning community committed to offering a progressive management education from diploma/certificate level to doctoral degree level, in a flexible and student-friendly manner. 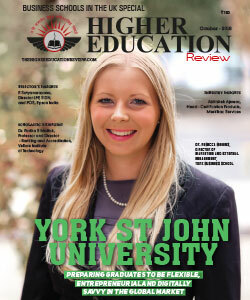 York St John University York An outstanding university known for its academic excellence and responsive nature, the institute with magnificent campus located in the centre of the historic City of York always puts the student at the heart of everything it does.